Christmas will be here before we know it and my family and I are getting ready! For many years, my brother, sister and I, along with our families get together at my mom's house for Christmas. We always look forward to spending time with each other and letting our mom spoil us! We have a lot of time together so we play games every day. 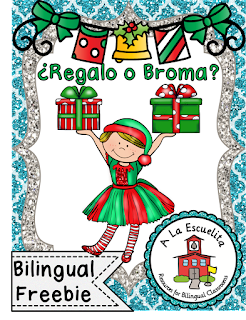 On Christmas Eve, after dinner, we gather around to play Regalo o Broma (Gag or Gift). Each player brings 2 nice gifts and 2 gag gifts. We draw numbers, we choose a gift or we steal a gift that's already been opened. We take turns until all of the gifts have been opened. I normally spend only $5 on each nice gift so the total is $10 because I get creative and make my gag gifts from things I find around the house. In this packet, I have provided more detailed instructions and the numbers for the drawings. 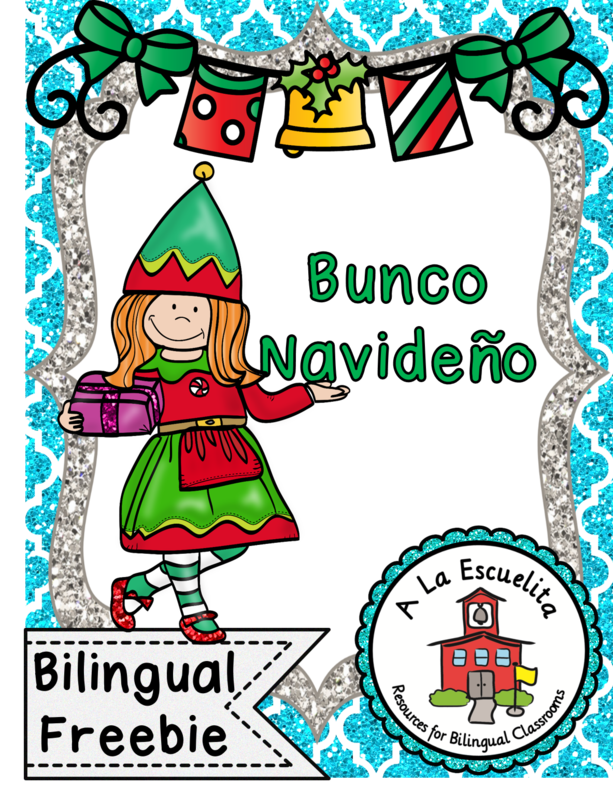 After Christmas, we play Bunco Navideno (Christmas Bunco) with family and friends. 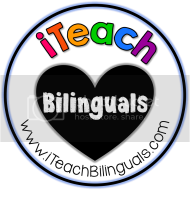 If you've never played you might need to watch some videos on YouTube to get a visual demonstration. We each pay $10 to play. We also place candy bowls at each table for snacking. You can modify it to fit your family's needs. We play with 12 players, 4 at each of the 3 tables. We have a head table that begins the game by ringing a bell. We roll for "ones" with 3 dice. For each "one" you earn a point. As long as you roll "ones" you keep rolling and accumulating points. Once you don't roll a "one" your turn is over and it's someone else's turn. On the next round, we roll for "two"s, and so on. 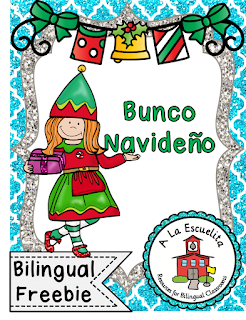 My Christmas Bunco has more detailed information and the score cards ready for you to print. 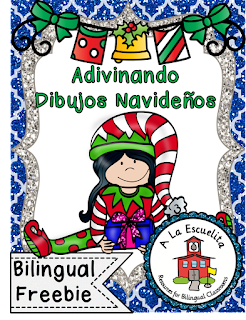 We also play Adivinando Dibujos Navidenos (Christmas Picture Guess- very similar to Pictionary). There's only 8 of us that play so I divide the cards in half, 36 for each game. I provide a small whiteboard and dry erase markers for drawing. Each year I try to add more cards to make it a bit more challenging. 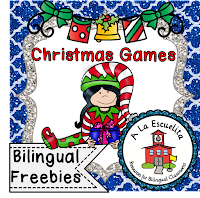 Since all the words are Christmas theme it's kind of easy to guess. It's still a lot of fun especially late after the adults have had some Christmas cheer! 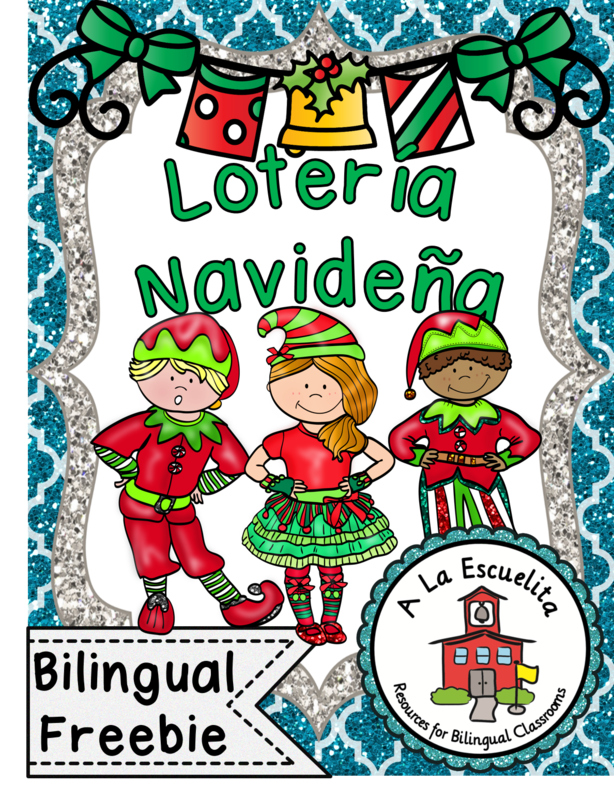 Another popular game in our family is Loteria Navidena which is very similar to Bingo. 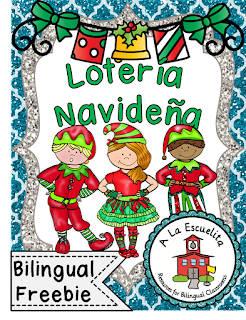 I want to share with you our family Christmas Picture Bingo. We wrap several $1 presents and the winner chooses a present to unwrap. Finally, one of the games that is a must is UNO. We can spend hours playing UNO. 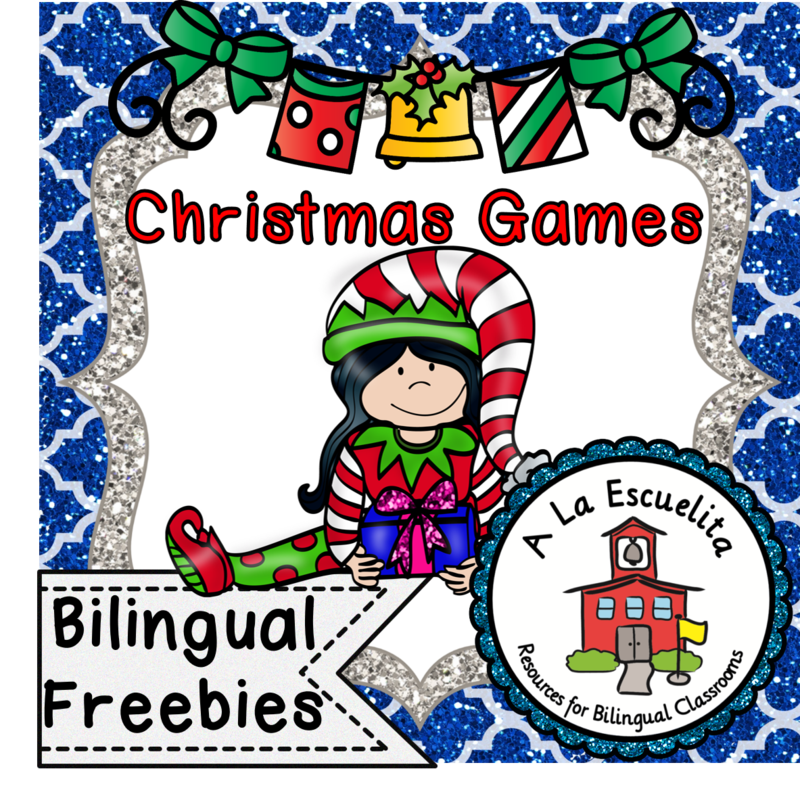 Hope you can find one of these games useful during this Christmas season, whether it's at home or in your classroom! 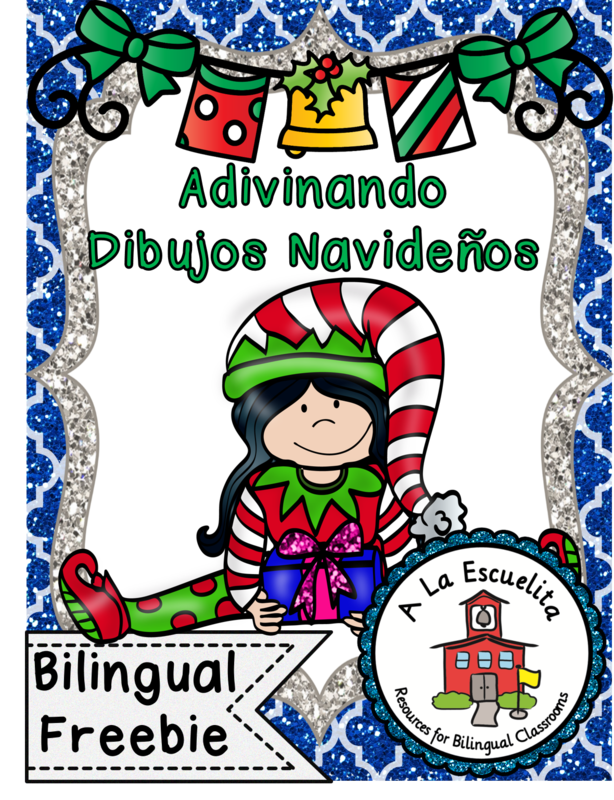 Wishing everyone a Merry Christmas from A La Escuelita!